When you return home from grocery shopping, food needs to be put away immediately. However, in your haste to complete the task keep one thing in mind. There are certain foods that should never be kept in the refrigerator. Make sure you know what should and shouldn’t be in there. Potatoes do not need to, and should not be, refrigerated. They need to ne kept in a cool environment, not one as cold as a refrigerator. Since potatoes also need to be kept in a dark, dry space, a cabinet is ideal. Keeping them in a cabinet will also help preserve the flavor that the refrigerator will destroy. When you keep your potatoes cold, there will be a breakdown of its starches. This can make your potatoes taste sweet or have a gritty texture to them. 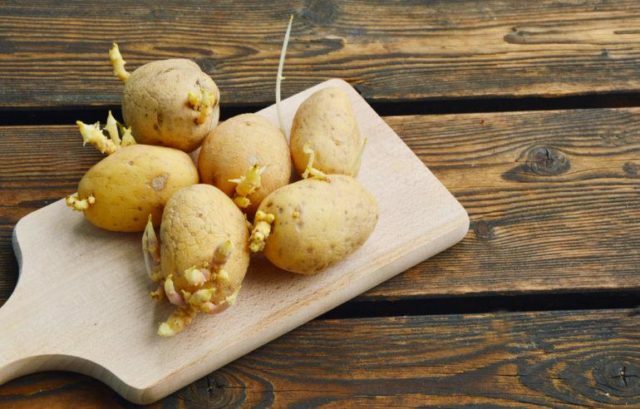 Refrigerating your potatoes could lead to a premature darkening of its skin. You would discover this when you cook the potatoes and notice a difference in their appearance. 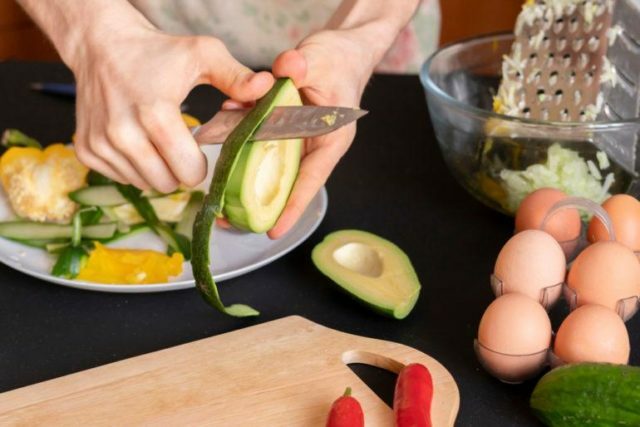 Avocados that are not yet ripe should never be kept cold. 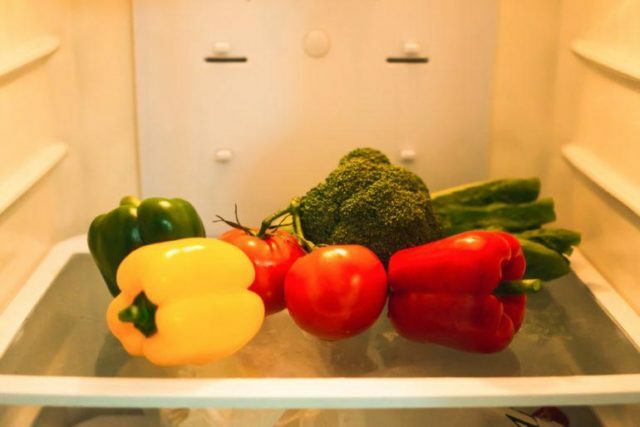 The temperatures in a refrigerator suppress their ability to ripen. This will prevent you from being able to use them as you intended to. Keeping them at room temperature will help preserve them until you are ready to use them. 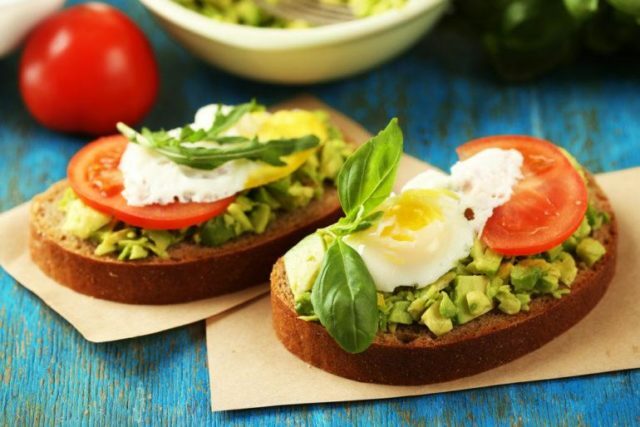 When an avocado is ripe it can go in your refrigerator. However, you only want to put them there if you have plans to use them at a later time. Otherwise, keeping them in a refrigerator will ultimately make them food you can’t use. Buying coffee beans at the grocery store is a great way to keep yourself caffeinated daily. Just avoid making the mistake of storing those coffee beans in the refrigerator. You want your coffee beans to be fresh. This means keeping them in a place that is cool and dry. Instead of refrigerating them, coffee beans should ideally be stored in a tightly sealed container. Room temperature is the best temperature for them to thrive in. They also need to be kept away from any source of light. Coffee beans are best kept in a space that’s dark. Tomatoes must always be kept away from the refrigerator. The tangy and rich flavor of tomatoes can be ruined with exposure to cold air. Any cold temperatures wrinkle the skin of a tomato. It can also deteriorate the internal membranes. This leads to a decline in its quality. 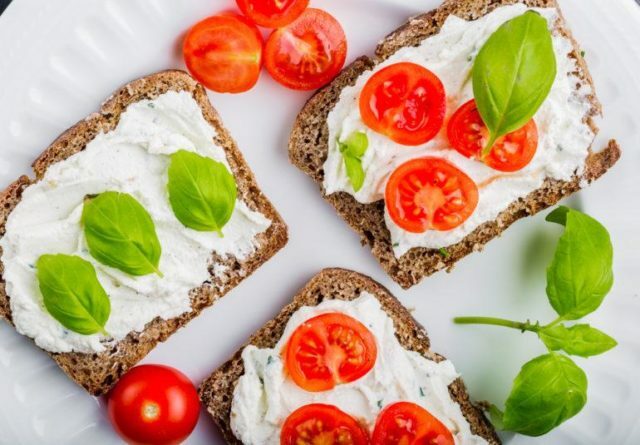 Mushiness and a lack of flavor are side effects of keeping tomatoes in the refrigerator. Keep them on a counter in your kitchen and you will find that they retain their freshness. Refrigeration will prevent them from ripening when you want them to. Unripened tomatoes aren’t a great food choice. Fresh, unused onions should also never be put in the refrigerator. Too much exposure to cold air can make your onions soft, moldy and undesirable. 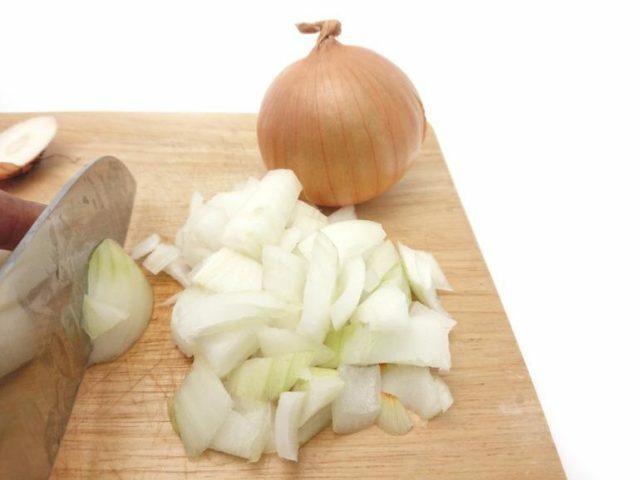 The National Onion Association states that unless an onion is peeled, you should avoid refrigerating it. They also advise against placing unpeeled onions in a plastic bag. The ideal place to store them, unused, is somewhere they are exposed to room temperature. This can mean keeping them in a pantry. Even keeping them in a bowl on a shelf or table is better. Don’t let your unused onions go to waste. One of the foods that spoils the quickest in the refrigerator is bananas. Grown in areas where it is naturally hot, bananas don’t handle cold air very well. Not only that, but they can even lose their nutrients. The health benefits of bananas greatly deteriorate when kept cold. Room temperature is ideal for bananas to maintain their quality. Refrigeration makes it harder for this food to ripen. 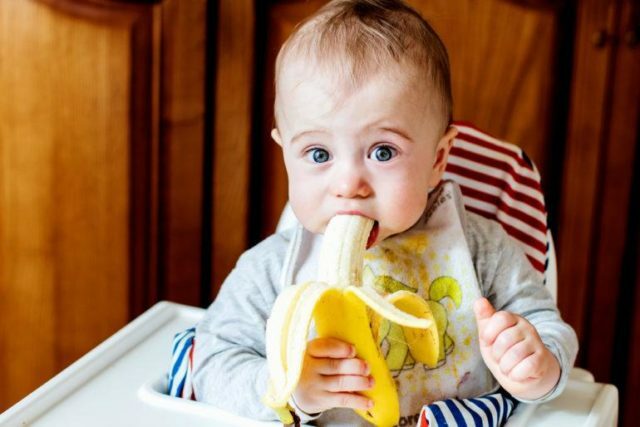 It can also cause damage to a banana’s cells. Exposure to cold air will also make your bananas dark and moist, affecting their flavor and texture in a negative way. Though your fist instinct might be to store chocolate bars in the refrigerator, don’t do it. Exposing chocolate to cold air can ultimately suppress its flavor. This is something referred to as sugar bloom. Keeping a chocolate bar refrigerated and then removing it changes the temperature of the air it is exposed to. 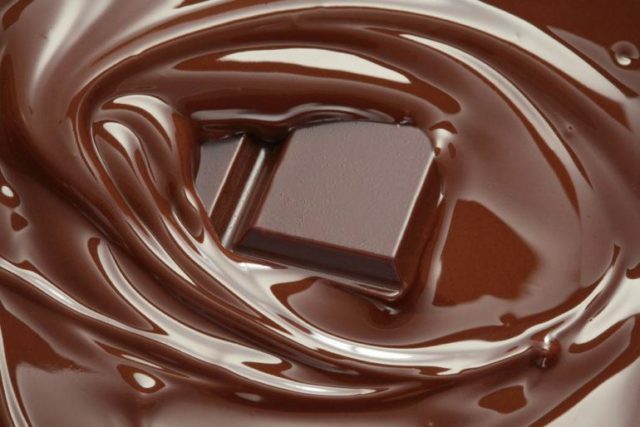 This sudden change in temperature can damage chocolate. You may notice that an undesirable coating forms on your chocolate bar after it has been removed from the refrigerator. his is not the ideal condition for it. Refrigerating honey prevents you from using it the way it needs to be used. 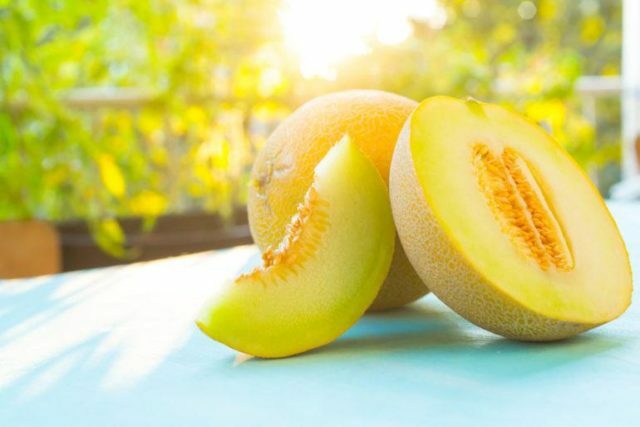 If you want to enjoy fresh melons, keep them out of the refrigerator. Research done on melons has proven room temperature is better for them. The levels of antioxidants in your melons are important. The best way to keep the levels where they should be is to expose whole melons to room temperature only. They should never be kept in the refrigerator until you have sliced them open. Until then, you are better off keeping them in a place that is dark and cool. This makes pantries and closets the best choices. There are very few fresh breads that can safely be refrigerated. Bread needs to stay soft; which means the moisture needs to stay in it. Refrigerating most types of bread results in it becoming stale quickly. Experts recommend that bread should only be in the refrigerator if you intend to use it for sandwiches. 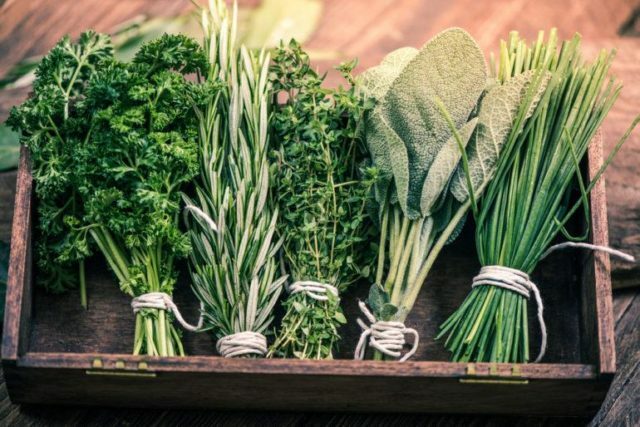 Fresh herbs are a great food to keep in your kitchen. However, the refrigerator is the absolute last place they should be. Herbs are very susceptible to the surrounding scents. If you keep them in your refrigerator they may end up smelling like other foods, making them undesirable. Another reason to keep them out of there is that refrigeration can dull their flavor. In some cases, it may take it away all together. Herbs are naturally moist, making the refrigerator the worst place to put them. They will dry out if they are exposed to cold air for too long. Eggplant is one of the many foods that should never be kept in the refrigerator. Like most vegetables, eggplants can be easily manipulated by temperature. Keeping them in the refrigerator for too long will do more harm than good. This vegetable is ideally stored in temperatures above 50 degrees Fahrenheit (ca. 10 °C) . Keeping them in temperatures below that change the flavor of the eggplant. It also changes the vegetable’s texture as well. Room temperature is the best temperature to expose eggplants to. 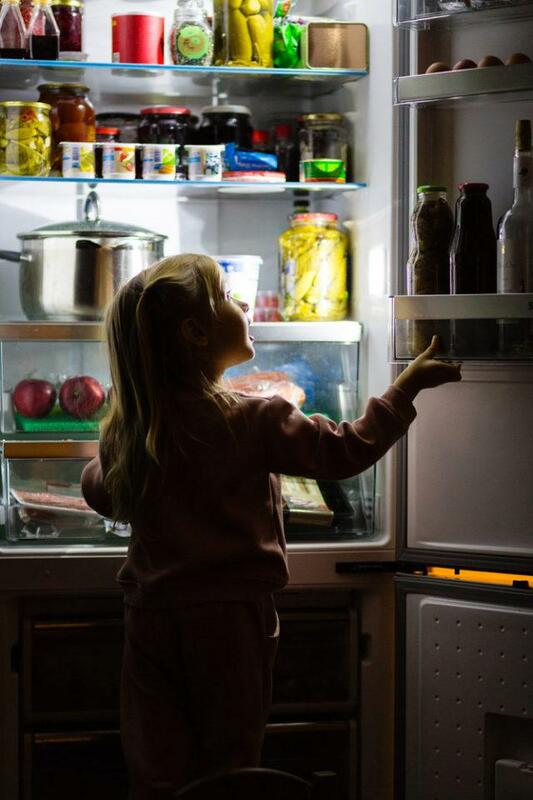 Another reason to keep them out of the refrigerator is that they shouldn’t be kept near fruits or other vegetables. 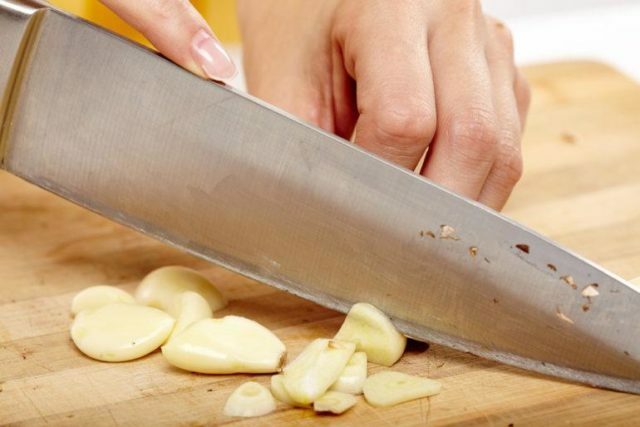 It is best to keep garlic away from your refrigerator. Garlic does not belong in a cold environment. Keeping it cold usually results in it becoming moldy and rubbery. In some cases, garlic will sprout if kept in the refrigerator for too long. To thrive, it needs to always be kept in a place where the air can circulate. When you keep your garlic on a counter it can last for more than one month. It is best to keep it in a basket. This helps you keep it in one place long enough to use it. 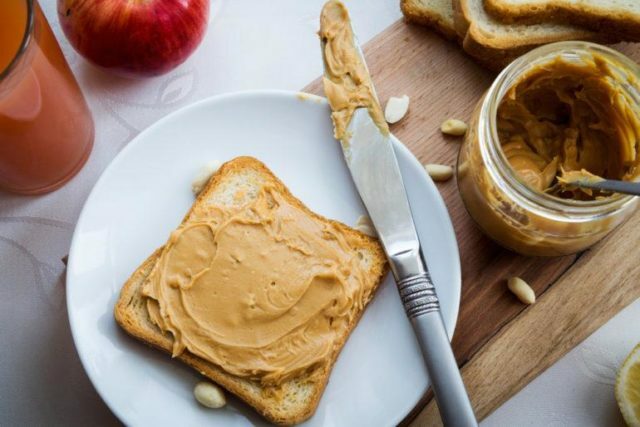 Though you may be tempted to put an open jar of peanut butter in the refrigerator, resist the urge. Unless it is all natural, peanut butter is actually better kept away from cold temperatures. Keeping it cold will only result in it hardening and drying out. It is especially important that creamy peanut butter be kept out of the refrigerator. Ideally, it belongs in a dry place where it is not exposed to light. This is why keeping it in the refrigerator is not beneficial in any way. Not surprisingly, ketchup should also be kept out of the cold. This makes sense since ketchup contains tomatoes, which also shouldn’t be refrigerated. You may be in the habit of keeping ketchup in the refrigerator after you open it. However, you are exposing it to cold air for no good reason. Most restaurants keep ketchup bottles on the tables all day. This is because they do not need to be refrigerated. Another reason to keep them out of the refrigerator is that you often put ketchup on hot food. When you pour cold ketchup on hot french fries, the fries will get colder faster. For this reason alone, refrigerating ketchup is a bad idea. There is no good reason to refrigerate olive oil. Exposing it to cold air will damage it. The oil will become harder and resemble the texture of butter. This is not something that you want to deal with. The Journal of Food Science reported on a study of olive oil. The study showed that the shelf life of oils is only so long. Storing olive oil away from the refrigerator for a minimum of six months can cause the antioxidants to become less effective. The lesson to take from this is that if you plan to use olive oil, it is best to use it within those six months. If not, you may have no choice but to refrigerate it. And if you do, it may lose the benefits of using it. Note that this also applies to coconut oil. Keeping it refrigerated will alter the texture and flavor of it as well. Oranges have a very tough skin. This makes the ideal storage place for them somewhere warm. Since oranges are grown in Florida, they are accustomed to warm temperatures. As a result, keeping them in the refrigerator while whole is not advisable. Any citrus fruit should be kept out of the refrigerator. This is because they are highly acidic. Therefore, storing them in the refrigerator may harm them. When you keep whole oranges in the refrigerator they will develop spots and the peel will become dull. If this happens they won’t look appealing or taste appealing. You may be surprised that pickles should not be refrigerated. 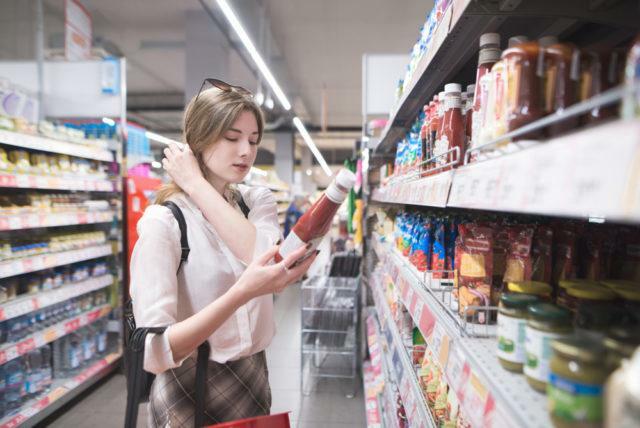 Though grocery stores act like they have to be, they don’t. Pickles are soaked in vinegar. This acts to preserve them. They are also covered in salt. Both the vinegar and the salt help keep them fresh. Many types of food are actually pickled, such as beets. This is so they can survive outside of a refrigerator. The quality of the food won’t deteriorate. Like pickles, cucumbers do not need refrigeration. However, most people don’t realize this. 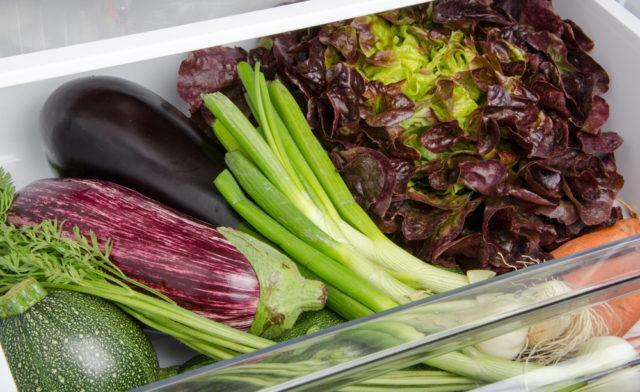 Virtually every refrigerator has a crisper. We are led to believe all vegetables should be stored in there. However, this is not true. Cucumber skin is very thin. 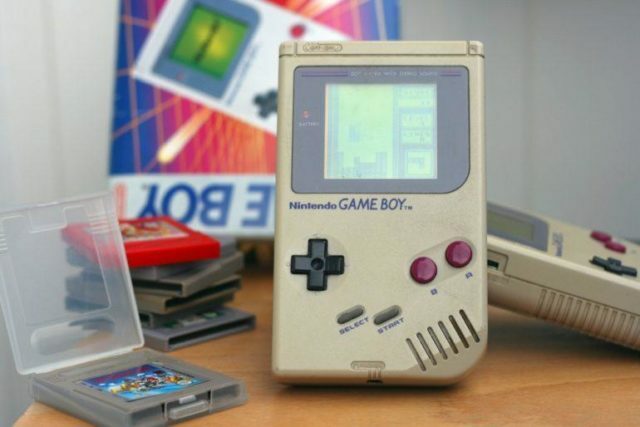 While this makes it easy to peel, it makes it difficult to preserve. Excessive exposure to cold air harms cucumber skin. While cucumbers need to be kept cool, cold temperatures are bad for them. Ideally, you should find a cool spot outside your refrigerator. This is where cucumbers belong. Ideally, cucumbers can’t handle refrigeration or room temperatures. The best temperature at which to keep cucumbers is 55 degrees. Stored at this temperature, they will last approximately one week. 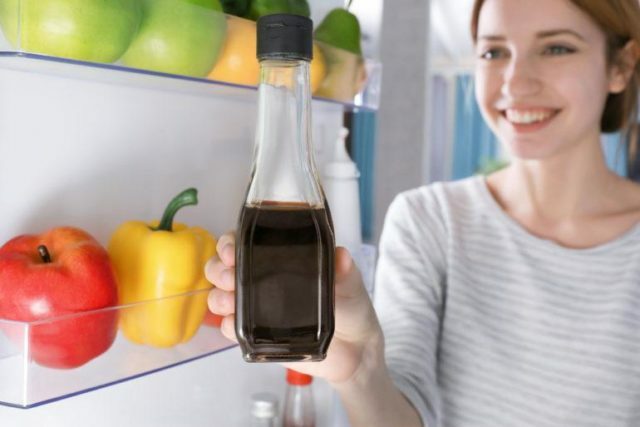 In most cases, soy sauce does not need to be refrigerated. On its own, this sauce is extremely salty. The salt preserves its flavor and quality over time. The fermentation of soy sauce is what keeps it fresh. If you must refrigerate your soy sauce, it is best to use a low sodium version. Lower sodium means less salt. This means low sodium soy sauce can be refrigerated safely. Any type of nuts should be kept out of the refrigerator. All of them naturally contain oil. Cold temperatures work to preserve this oil in nuts. However, it takes away from the flavor. If you enjoy various nuts for this reason, refrigerating them isn’t recommended. They won’t have the same effect when you use them in recipes. 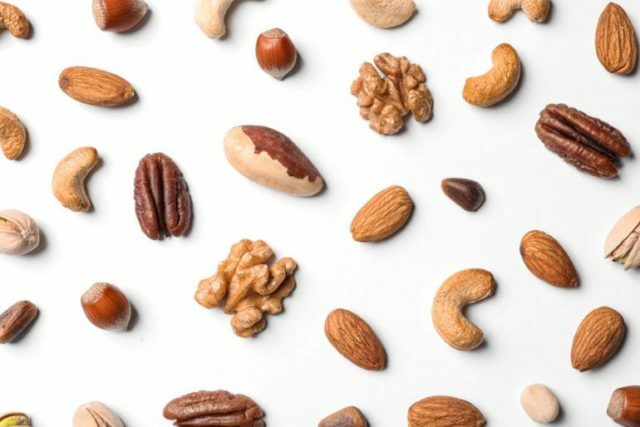 Keeping them in the refrigerator will make the nuts smell like other foods. Depending on how long you take to use a stick of butter, it shouldn’t always be refrigerated. According to the USDA, refrigeration isn’t always necessary. 80% of any butter is made up of fat. Since it is only 20% water, refrigeration is not completely necessary. Most butters have pasteurized milk in them. This, combined with the water content, means bacteria won’t break down easily. Bacterial growth isn’t as likely, as a result. Keeping butter cold gives it a hard consistency. This is not something you want. Spreading hard butter on bread will rip the bread to pieces. 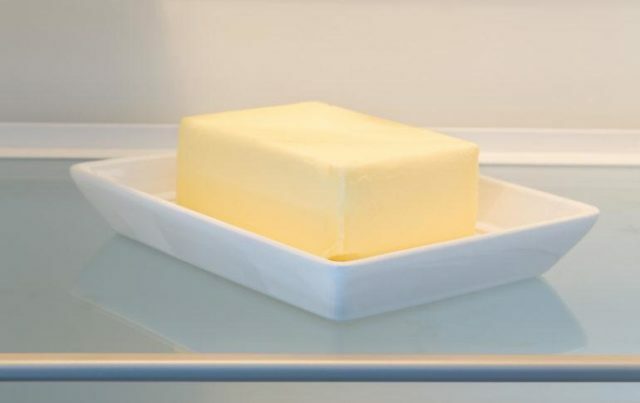 To get the most out of butter, you can store some of in the refrigerator. The rest can be left outside of it. Butter will also lose its creaminess if you keep it cold. The key is to use it before it spoils out of the refrigerator. The only exception is that unsalted better can’t be kept at room temperature. To avoid refrigerating your butter, use the salted version. 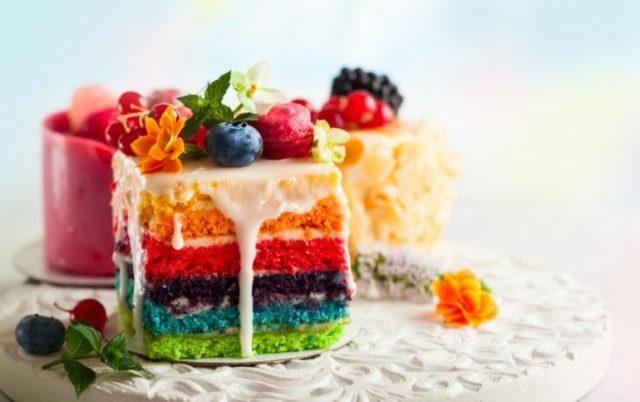 It isn’t always recommended (or necessary) to refrigerate cake. Keeping it in the refrigerator often makes it dry. Any cake without frosting doesn’t need refrigeration. This is also true if icing made of ganache or buttercream is used. However, freezing a cake is fine. Most couples freeze the top layer of their wedding cake for one year. 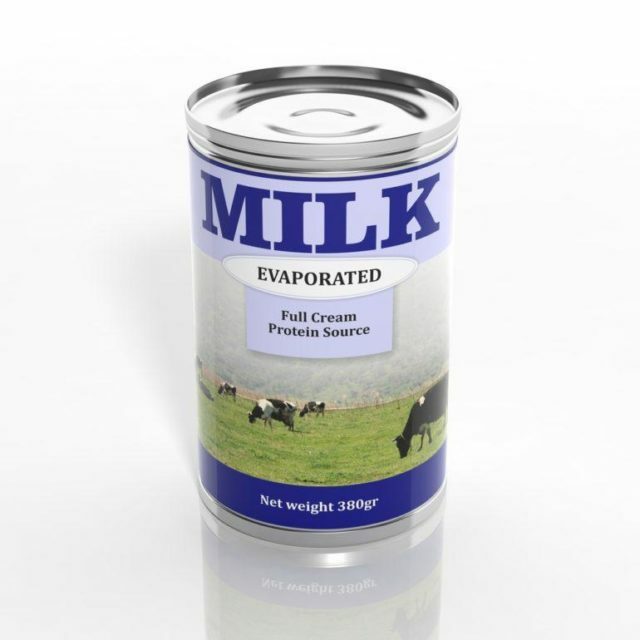 Canned evaporated milk can be kept out of the refrigerator. In most cases, you can use it in recipes. It won’t fully take the place of regular milk. However, it can be a great substitute for the milk you would normally have to keep cold. Soy and powdered milk can also be kept at room temperature. Adding water to powdered milk will transform it. You may never use refrigerated milk again. While certain herbs need refrigeration, fresh basil is not one of them. Basil has stems that are tender. They should be stored more like flowers than food. To keep basil fresh, put it in a small glass of water. When the water gets cloudy it should be replaced. This keeps it at room temperature but still prevents spoiling. Otherwise, it may end up wilting before you can eat it. No matter what kind of peppers you use, refrigeration is not necessary. Exposing any of them to it will prevent them from becoming ripe. Your peppers won’t be as fresh or flavorful if you refrigerate them. They need to be kept in a dry environment. It should also be one in which they have plenty of exposure to air. Maple syrup never needs to be refrigerated. Its moisture prevents bacteria from growing inside it. 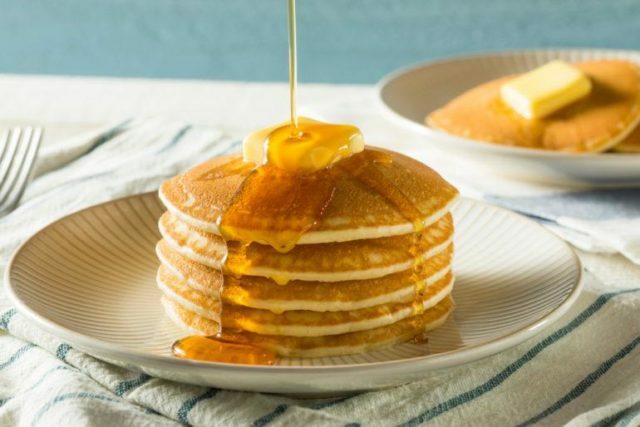 Even when you have opened a bottle of syrup, keep it on a counter. You will find that it tastes better and maintains its consistency. Keeping hot sauce cold is not necessary. There is no reason to store it in the refrigerator. Hot sauce has a high acid content. This acid content helps preserve it. As a result, hot sauce never needs to be refrigerated. The vinegar found in hot sauce makes it ideal to keep on the kitchen counter. This also applies to fish sauces. 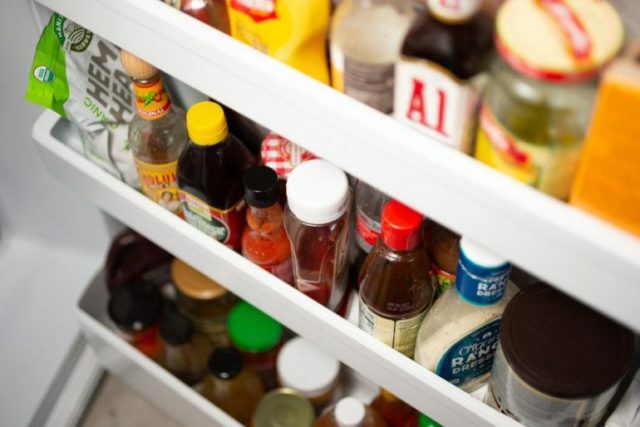 These sauces can be kept out of the refrigerator for years. They will still maintain their quality and flavor. 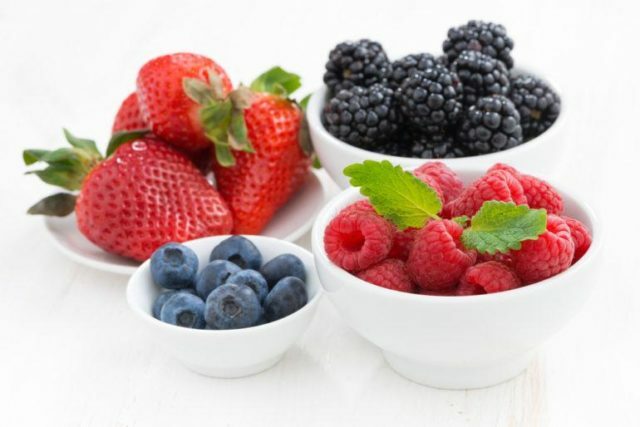 In general, berries can be kept out of the refrigerator. The moisture content of a refrigerator is high. Exposing berries to this type of environment is not good for them. With so much water in them, berries can and do stay fresh in room temperature. Kept in the refrigerator too long, and they can end up frozen. When this happens, the quality of them will be compromised. Their texture will become undesirable. They will also lose their flavor. Berries are best kept on a counter or table in your kitchen. With some exceptions, salad dressing does not need refrigeration. There are preservatives in most of them that keep them fresh. Chances are, almost every salad dressing you have can survive without cold. 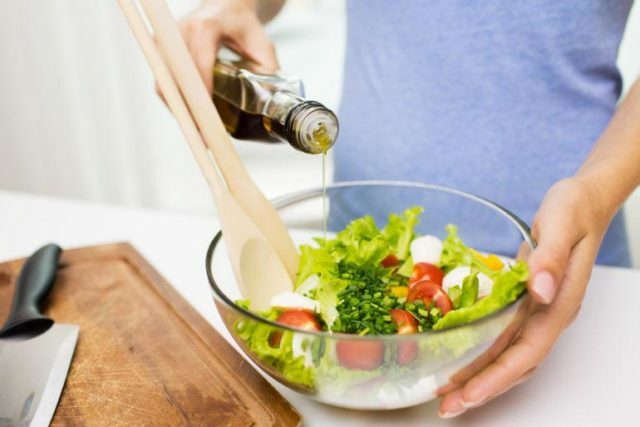 Oil and vinegar based salad dressings can be kept at room temperature. 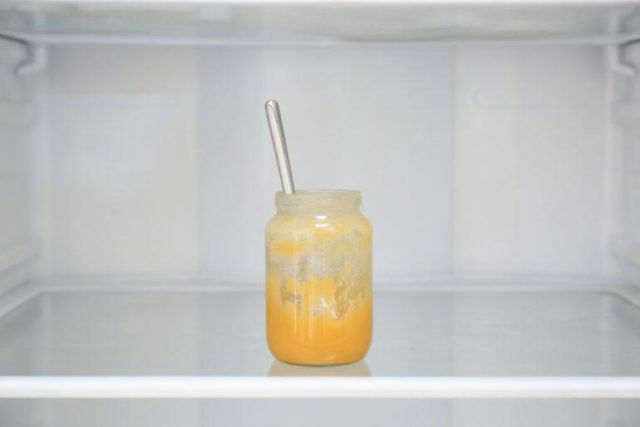 The only time that you have to keep salad dressing in the refrigerator is if it is mayonnaise, yogurt or cream based. Otherwise, free up room in your refrigerator. Instead, keep salad dressings in a cabinet or pantry. Jams and jelly do not need to be refrigerated. The ingredients in them keep them fresh on their own. They will last awhile at room temperature. Keeping them out of the refrigerator also makes them easier to spread. Once you have opened a jar of jelly or jam keeping it in a cabinet is acceptable. Winter squashes can easily be kept out of the refrigerator. All of them contain high amounts of Vitamin C and Vitamin A. As a result, room temperature will not hurt them. 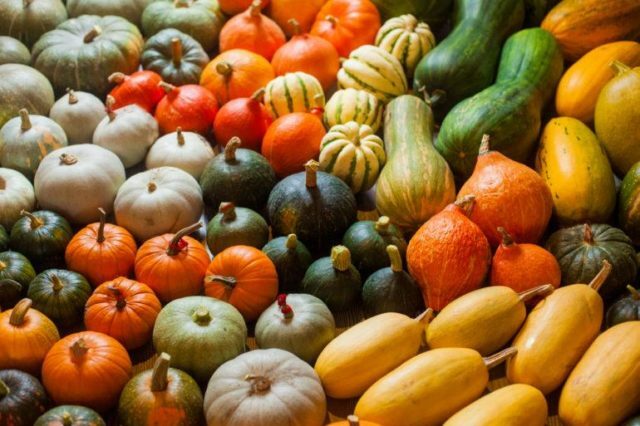 Without refrigerating your winter squashes, they will last. You will have approximately one month to use them without refrigerating them. In some cases, they will last even longer than that. All types of squashes have a long enough shelf life. Plums do not fare well in cold temperatures. Like many other fruits, they will get wrinkled. 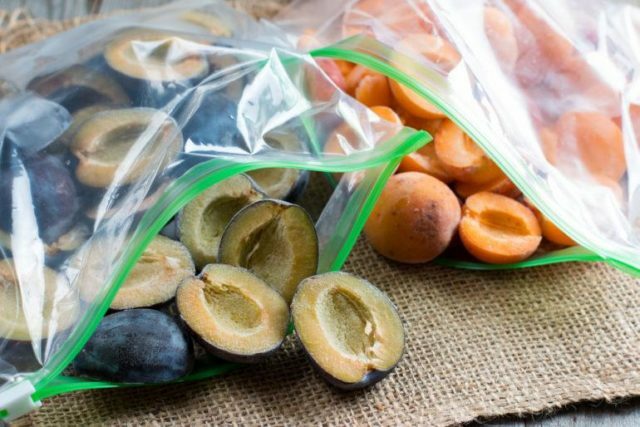 Keeping plums in the refrigerator prevents them from ripening. This makes them undesirable to eat. Their flavor will be compromised if they are kept refrigerated. To keep your plums fresh, they should be kept on a shelf. When you keep them there, you can enjoy them for much longer. 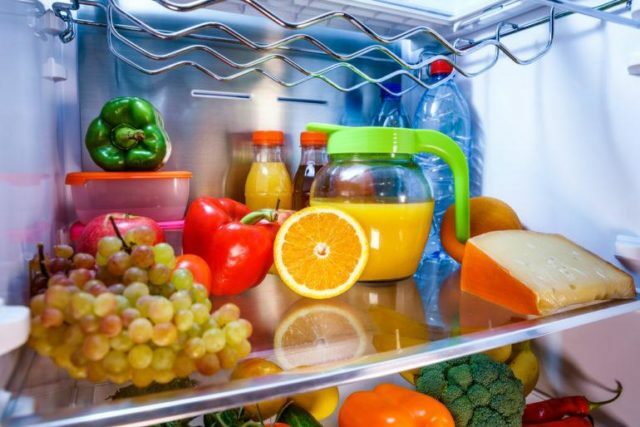 These foods should be kept out of your refrigerator. It is important to know which foods shouldn’t be refrigerated and why. You will also find that you have more space in your refrigerator. 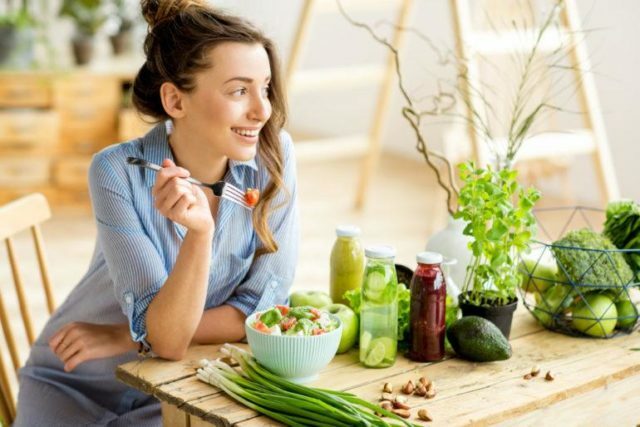 Keeping certain foods on the counter or in a pantry will make a difference.